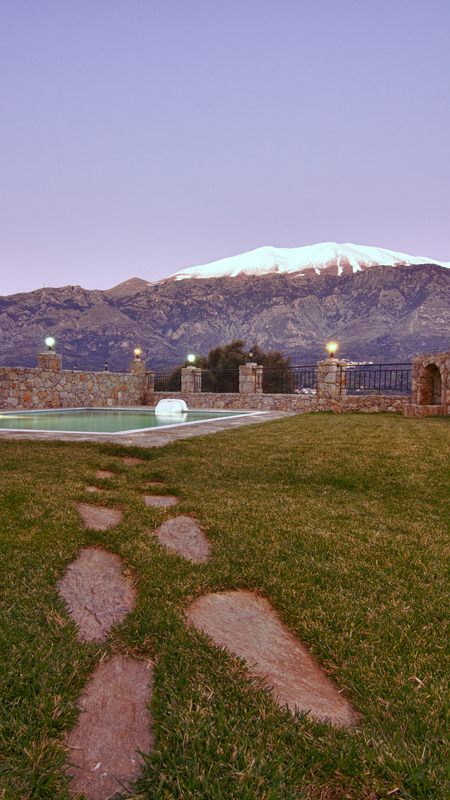 In the middle of Crete to the village Petrohori with the view of the mountain Psiloritis, there is APOSETI VILLAS. Super luxury suites, combine with the natural environment can offer relax, calmness and peaceful all year long. 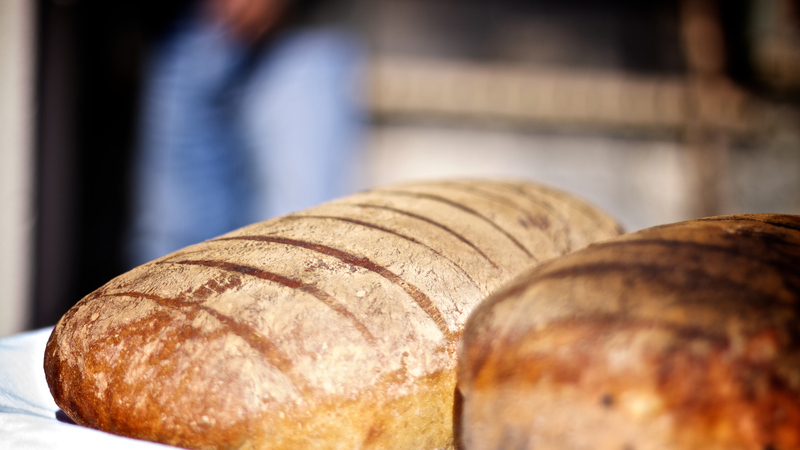 In the apartment-group, there is a space suitably shaped where the visitor can taste genuinely traditional cuzine with ingredients that we produce, like virgin olive oil, meat, vegetables, wine, tsikoudia. The taverna operates in concert with us. 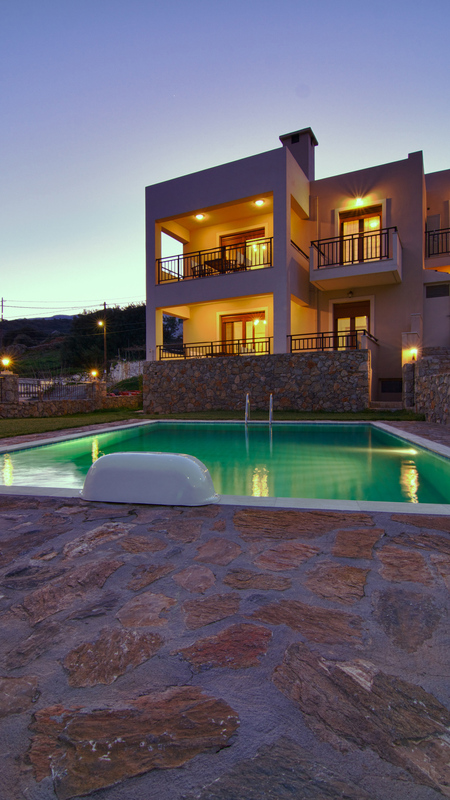 Surrounded by Psiloritis Mountains, Aposeti Villas offers spacious fully equipped villas with shared swimming pools, in Petrochori village. It has a tavern and provides free Wi-Fi access. Aposeti features traditional accommodation with a fully fitted kitchen with dining area. The living room offers a fireplace, as well as a satellite LCD TV and DVD player. Each villa has a balcony, or veranda with access to the garden. Aposeti guests can dine at the stone-paved tavern with views to the property’s garden. 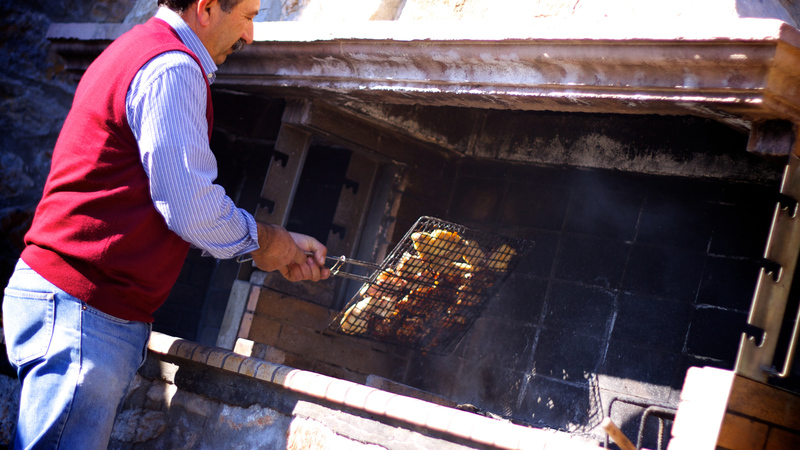 It serves traditional Cretan dishes made with fresh products and locally produced olive oil. 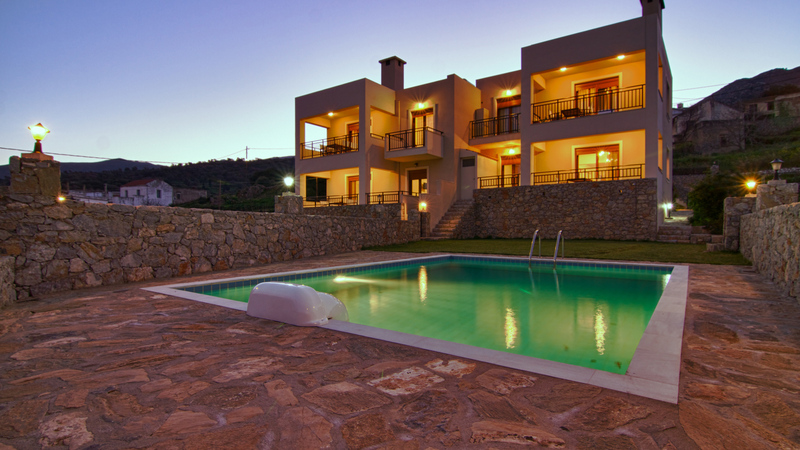 The seaside village of Agia Galini is 25 km away from the villas. The port of Rethymno is a 45-minute drive away. Free private on-site parking is available. 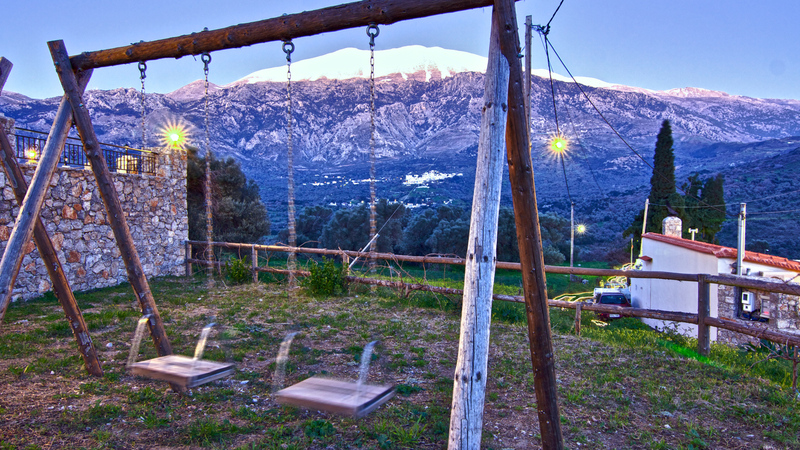 In the middle of Crete to the village Petrohori with the view of the mountain Psiloritis, there is APOSETI VILLAS. Super luxury suites, combine with the natural environment can offer relax, calmness and peaceful all year long. 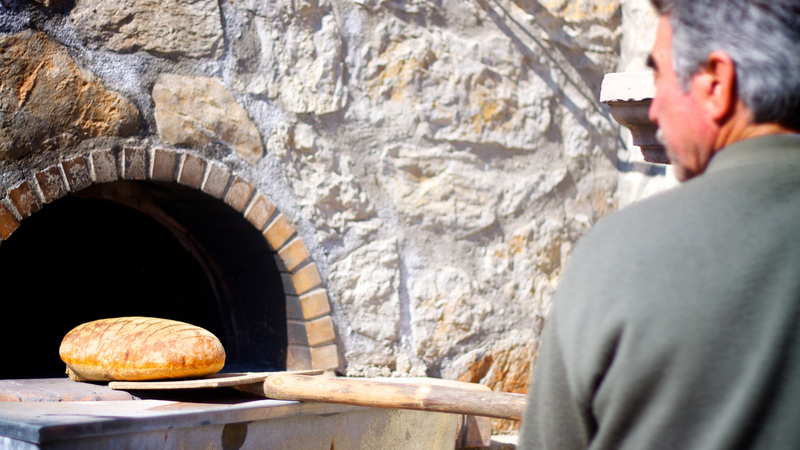 In the apartment-group, there is a space suitably shaped where the visitor can taste genuinely traditional cuzine with ingredients that we produce, like virgin olive oil, meat, vegetables, wine, tsikoudia. The taverna operates in concert with us.